Add chopped pineapple and 1 cup of pineapple juice to the mixed dried fruit and stir well. Leave to marinate. Rub butter into flour. Warm honey and golden syrup together, and add to the crumbled flour mixture. Bring milk to the boil, add the baking soda and mix into the main mixture. Cool. Add essences and the dried fruit. Mix well and pour into a greased and lined tin. Garnish with nuts as desired. Place cake in oven and turn oven to 120 degrees C. Bake 4-5 hours. 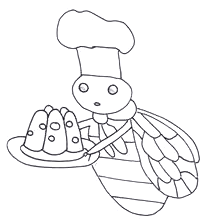 Take cake out of oven and test to see if it is cooked, by inserting a skewer into the middle of the cake. It should come out cleanly. Leave the cake in the tin on a cake rack and cover with a thick towel. Leave overnight to totally cool. The following day carefully remove cake from the tin and store in an airtight container. 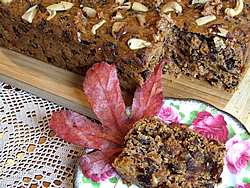 Makes a very nice moist, richly flavoured fruit cake for that special festive occasion.